The new iPhone … from Cisco? Confusingly, Cisco’s new VOIP (voice over Internet Protocol) handsets were part of a family of devices branded as iPhones, although they were actually called the CIT400 and WIP320. 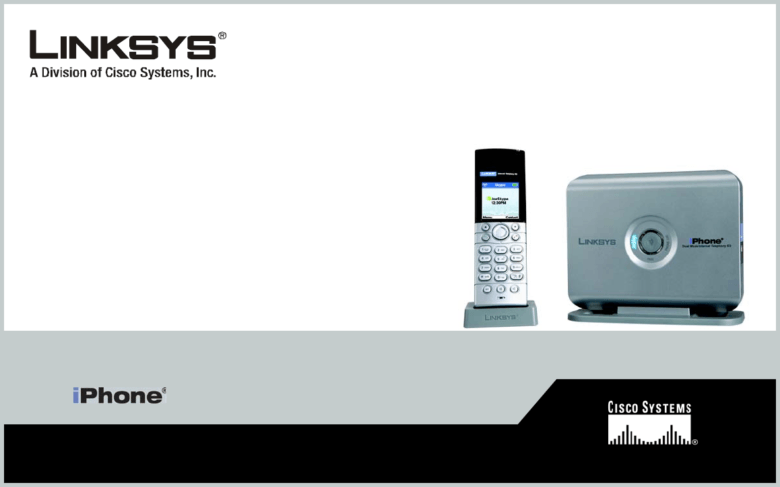 The $179.99 CIT400 was a cordless phone with a base station that attached directly via Ethernet to a network. The $199.99 WIP320, meanwhile, was compatible with Wi-Fi. Both came preloaded with Skype. 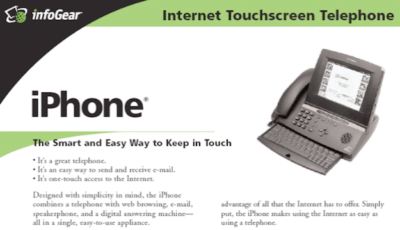 Unfortunately, despite good reviews, the InfoGear iPhone only sold around 100,000 units. Cisco acquired InfoGear, along with the iPhone trademark, in 2000. Apple later repeated this somewhat underhanded move by borrowing another trademark owned by Cisco — the name “IOS” (which Cisco used for “Internet Operating System”). As a make-good, Apple and Cisco said they would team up to “explore opportunities for interoperability,” although this never happened.